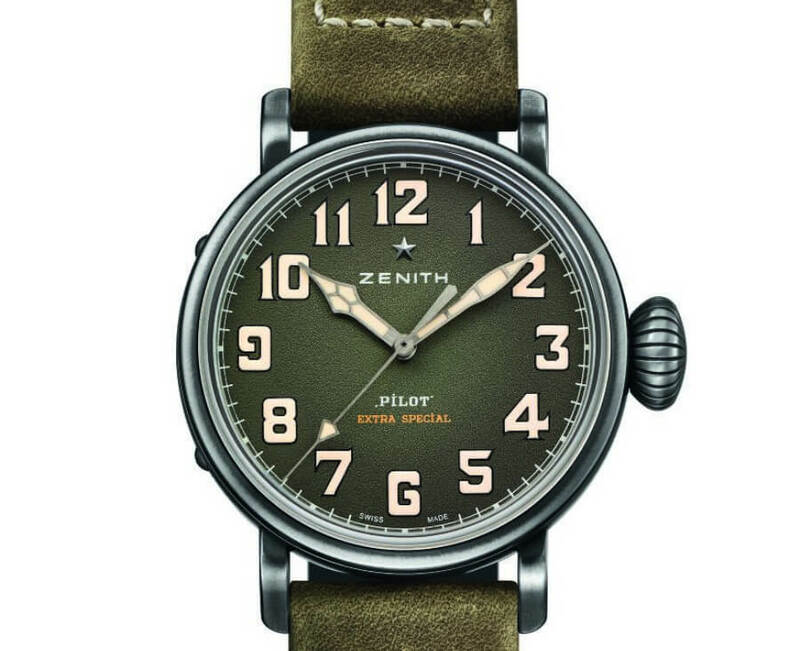 Zenith’s Pilot watch displays its vintage style on all wrists. 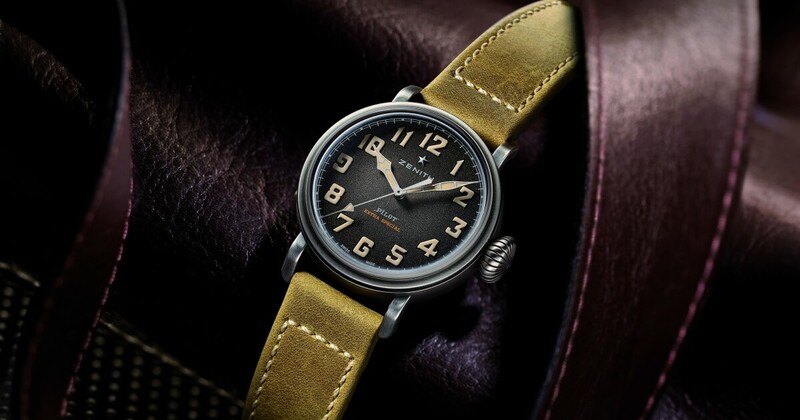 In a new 40 mm case made from aged steel, its attributes inherited from aviation’s pioneering days – a broad fluted crown, oversized luminescent numerals, a grained dial and an in-house ‘motor’ – make an ideal match with the retro shades of the oily nubuck straps with contrasting stitching. Shades of mustard, khaki, blue or burgundy. A 40 mm diameter.A thickness of 12.95 mm. Elegant hues and ideal proportions, while never losing sight of the spirit of adventure that forged its legend. 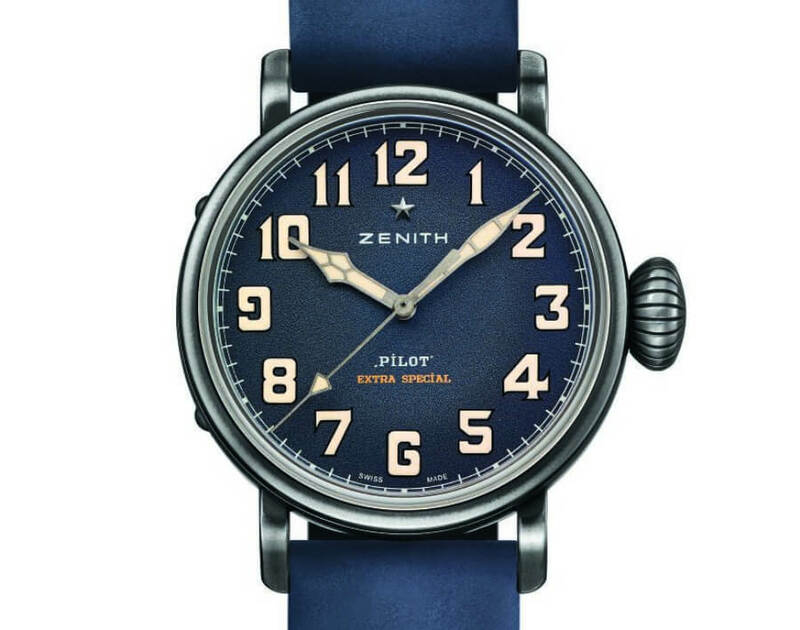 Aged steel, a grained-finish dials (slate-grey, khaki, blue or burgundy colors) with large beige numerals, nubuck straps: the new Pilot from Zenith lends itself to the most stylish vintage variations. 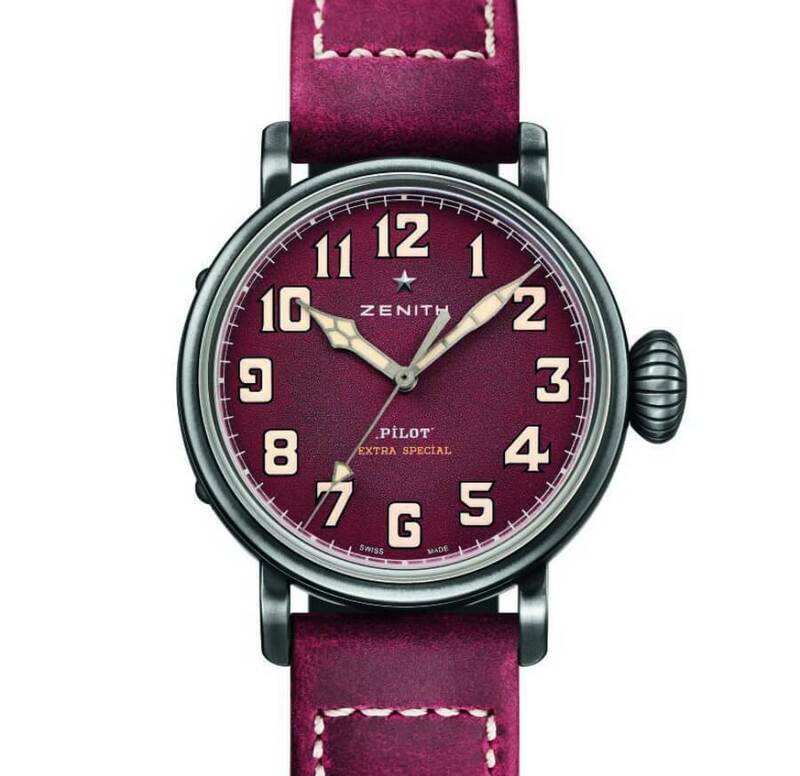 The case crafted from aged steel and water-resistant to 100 metres is topped by a domed sapphire crystal protecting a broad slate grey or khaki or blue or burgundy dials with a grained finish. Optimal legibility is ensured by an aeronautically inspired font composed of beige Super-LumiNova blocks, along with beige luminescent facetted hands. 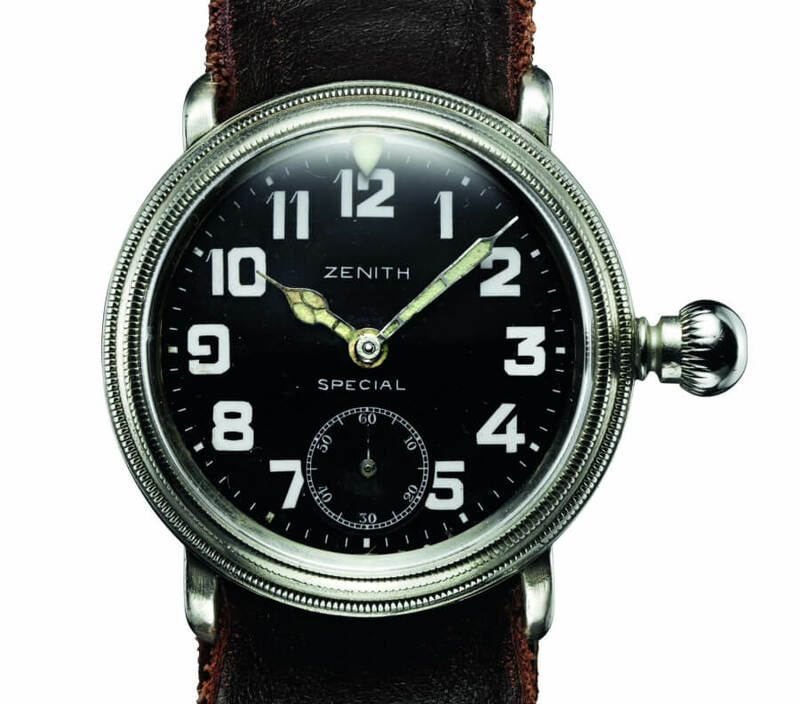 At its heart beats the automatic Zenith Elite 679 calibre. This reliable and accurate in-house movement drives central hours, minutes and seconds hands, while delivering a 50-hour power reserve. The movement has 126 components, 27 Jewels and it runs at 28,800 VpH (4 Hz). In a nod to the history of the Maison, the solid aged steel case-back bears the company’s historical logo – a coat-of-arms studded with stars and bearing the founding date of the Manufacture Zenith: 1865.